Music, what’s it MEME to me? Enter the Vancouver Recital Society’s RU35 Collaborative Art Project and You Could Win! Looking for a way to experience heart-stopping classical music recitals without breaking the bank? RU35, or Recitals Under 35, is the Vancouver Recital Society’s new program for discerning young Vancouverites between the ages of 18 and 35. RU35 tickets for all recitals are only $18, a savings of up to 75%. 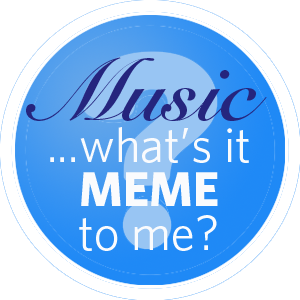 Tell us what music “memes” to you in one short sentence. Be as creative with your response as you like. To enter, post your submissions on Facebook (on the Vancouver Recital Society Facebook page) or Twitter (using the #RU35 hashtag) from February 15, to April 15, 2012. The Vancouver Recital Society will commission a Vancouver-based design team to take our favourite submissions and transform them into series of six internet memes and collectible posters. If your submission is selected for a poster, you’ll win two tickets to the performance of your choice and be entered into a draw for a subscription to the Vancouver Recital Society’s 2012/2013 season. Please read the “Music, what’s it MEME to me?” Collaborative Art Project Contest Rules below before submitting your entry. By submitting your entry into the Contest, you automatically agree to these rules. British Columbia residents 18 years of age or older. Staff and partners of the Vancouver Recital Society are encouraged to enter but will not be eligible to win a prize. There is no purchase necessary to enter or win. 1) Like the Vancouver Recital Society Facebook page and post your entry on our wall. 2) Follow @VanRecital on Twitter and tweet us your entry (including the #RU35 hashtag). Feel free to include images or video with your entries. Your space is limited only by the space on Twitter and Facebook. Enter as often as you’d like. When is the deadline for entry? Be sure to post your entries by April 15, 2012 at 11:59PM PST. How are the winning entries selected? All entries will be reviewed by the Vancouver Recital Society team and judged for relevance and creativity. If your entry is selected, a Vancouver-based design team will transform your response into a sharable internet meme (in the form of a jpeg image) and collectible poster. There will be six winning entries in total. The six winning entries will each receive two tickets to the Vancouver Recital Society performance of their choice in the 2011/2012 season. Additionally, those six finalists will be put in a draw for a subscription to the Vancouver Recital Society’s 2012/2013 season. Prizes are non-refundable and cannot be returned for cash. When and how are winners contacted? The Vancouver Recital Society will contact the six finalists via their method of submission (Facebook or Twitter) by April 20, 2012. If they do not respond within 7 days, they automatically forfeit their prize. Winners must provide proof that they are 18 years of age or older to obtain their prize. Prizes can be sent to a mailing address provided by winners. The Vancouver Recital Society is not responsible for any failure of the Facebook or Twitter websites during this contest. Nor is it responsible for any problems or technical malfunctions of computer online systems, servers, access providers, computer equipment, software or any e-mail, online or internet entry lost due to technical problems or traffic congestion on the internet or at any website or any combination thereof, including any injury or damage to an entrant’s or any other person’s computer or property related to or resulting from playing or downloading any material in the promotion. As one of the few recital series in North America dedicated to presenting internationally-acclaimed artists, both emerging and established, the Vancouver Recital Society has built a reputation around the world for innovation and excellence in programming, garnering prestigious awards in New York and Toronto. We hope to provide our audience with the experience of discovery, of hearing the future of classical music, and of uncovering the “superstar” candidates for the 21st century. Ru35 is a new program for discerning young Vancouverites between 18 and 35 who want to broaden their cultural horizons, impress a date or influence their network in a new way. Young adults get the opportunity to experience live solo performances by world-class classical artists, meet new people, and never break the bank doing it. Tickets are only $18, a savings of up to 75%. After taking in some great classical music continue the experience at one of our fantastic partner restaurants. Tickets and information are available through the VRS box office at 604.602.0363.